Night fell over the Cook Pavilion as the florescent lights reflected off the sweat of the University of Nebraska-Lincoln club lacrosse team. An hour and three waters breaks in, with no sign of giving up, the team continued to practice. At the center of the controlled chaos was head coach Rob Mazanec, the man who brought this posh sport to the state. Mazanec, a former Division I athlete who settled in Omaha, received the chance to coach for the Huskers in May 2014. 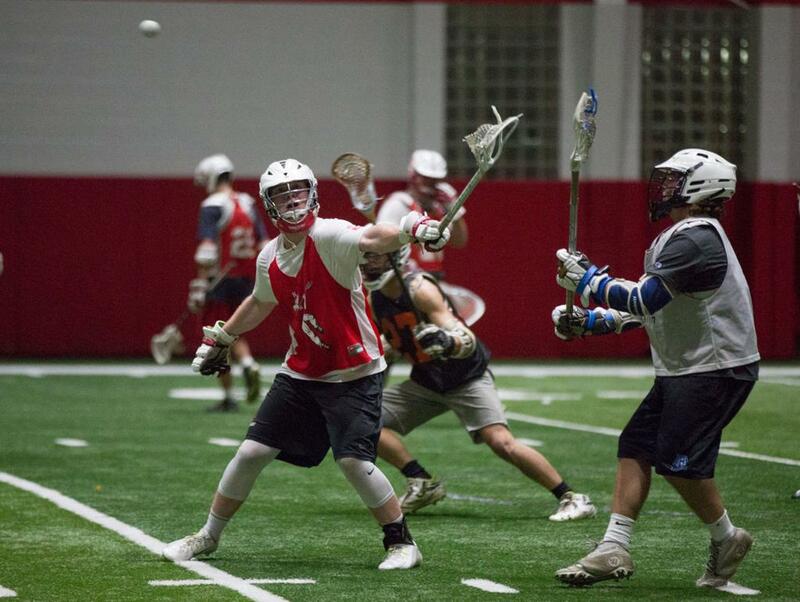 With football as the main focus of the approximately 1.8 million residents in Nebraska, lacrosse is often swept under the rug, both at the collegiate and high school level. Each year he recruits for the club team and travels all over the country to build it up. “We go to Chicago, Detroit, other places and look for other kids,” Mazanec said. President of the team, Jowe Tombi, began playing lacrosse when he was in middle school in Omaha. He eventually ended up in Lincoln and is the face-off specialist for the team. He said he credits this to Mazanec’s influence. “I just like the fact that the play style of it is really personal so that affects the way you play,” Tombi said. Tombi said he thinks lacrosse is the fastest growing sport at both high school and college levels across the country because it is a contact sport that is fast-paced, keeping both spectators and players involved. He said there is the ability to stand out as an individual, yet be a part of a team within the sport. 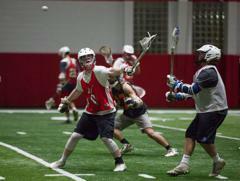 The UNL club team has been moved from the Great Rivers Lacrosse Conference, to the Upper Midwest Lacrosse Conference. Through this change the team is hoping to draw more attention to the sport and spread it around Nebraska. “That is just a rallying call for us to step up and really do well at a more challenging division.” Tombi said. Fall ball began on Sept. 11, heading toward two scrimmages against the University of Iowa and the University of Kansas. “This is just the time for the guys to get together and know each other,” Mazanec said. Fifteen new freshmen have joined the returning 22 players. “We have a lot of good returners coming back that have a year under their belt. We have some dynamic freshmen that have come aboard, prognosis is good,” Mazanec said about the upcoming season this spring. While the focus for the team is to be successful, Mazanec said he does not see that as the end-all for the team. 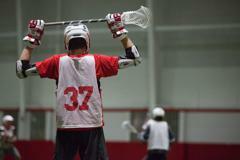 Practices take place three times a week at various locations. The team takes on Kansas and Iowa State on Oct. 22, in Lawrence, Kansas.